Plantation shutters are a classic design that has appealed to homeowners throughout the history of window coverings. With a traditional style and huge decorative appeal, they have grown in recent times to become synonymous with fashionable homes and functional interior designs. 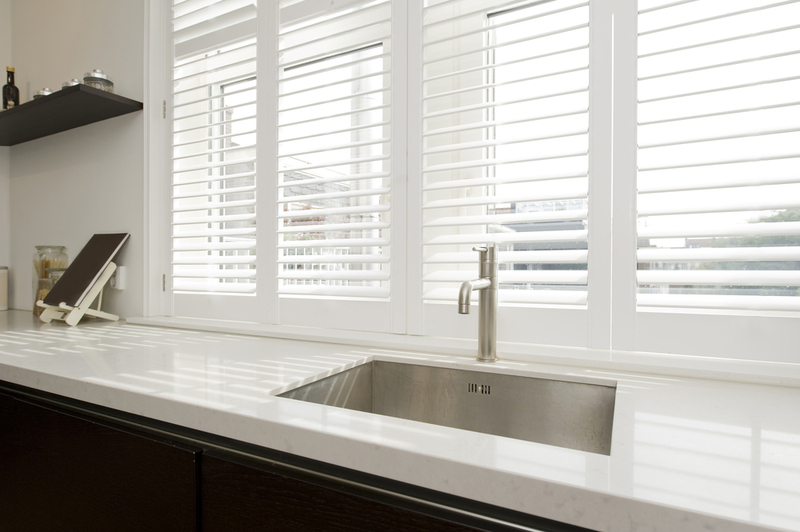 Plantation Shutters from The Roman Empire are not constructed of timber (but are available on request) but rather a more resilient PVC that is extremely tolerant to wet area’s and temperature fluctuations. Warping, peeling or cracking as found on older painted timber shutters, has now thankfully become a thing of the past. Fill out the form below and we’ll be in-touch as soon as possible. champion Sugar Ray Robinson dies and The Roman Empire was born! The look of unobtrusive elegance where form follows function. The word “Virtus” dates back to the early Roman Empire and translates to toughness and strength – the same attributes found in our Virtus™ range. Having the same amount of pockets as our traditional Island™ blind, the soft, casual ‘puckered’ look has been all but eliminated by replacing the stitched pockets with powder coated aluminium extrusion – resulting in a more aesthetically structured sharp, clean appearance. Added bonuses include excellent insulation and heat reflective qualities which in turn lower your heating and cooling costs. Virtus™ – The strength behind today’s Roman Blinds. At the Roman Empire, we are proud to be aligned with some of largest and most respected fabric houses in the world. If you’re looking for a hard finish or sunscreen blind, we offer a huge range of fabrics from companies such as Mermet, Bricos, Louvolite, Shaw, Texstyle, Uniline or Wilson but if a soft finish is what you’re looking for we offer exquisite ranges from companies like Warwick, Zepel, Maurice Kain, Gummersons, Hoad, Slender Morris and Charles Parsons. Our fabric library is limited only by your imagination and we are here to assist in your selection to truly make a WOW factor for your project, no matter how big or small. Tailored sophistication – Elite™ says it all! Elite™ takes the Island™ to the next level offering a more structured and tailored appearance. With the introduction of our slender powder coated aluminium profile, the light filtering stitch holes as found on the blockout Island™ blind have now become a thing of the past. The number of horizontal pockets have also been halved to create a more simplified, sophisticated look without sacrificing the appearance when the blind is fully drawn. Elite™ from The Roman Empire – setting the bench mark for the future of Roman Blinds. The look of casual simplicity is precisely what theIsland™ delivers. Standing the test of time over hundreds of years and gracing the windows of some of Europe’s finest estates, Island™ offers the same ageless ambience to grace your home. Utilising the same construction methods as our European forefathers whilst incorporating the strength and durability of modern componentry, the resulting soft ‘puckered’ look of Island™ is perfectly suited to any situation that requires a casual, less structured appearance. The stunningly practical fabrics in the Oasis™ range let in as little or as much of the sun’s rays as you choose, with all fabrics in this range being treated to resist mildew and soiling. The enhanced horizontal lines of Oasis™ create a perfect ambience, with the lacquered natural timber battens adding a warmth and sophistication all of their own. If you’re feeling creative, why not let your imagination go with the option of staining or painting the battens to suit your individual decorating tastes. Oasis™ is made up of componentry that can withstand the toughest conditions ranging from the U.V stabilized lift cords to the Marine Grade stainless steel guide rings designed exclusively for The Roman Empire. Characteristically, Oasis™ carries with it an oriental feel perfectly suited to any décor and with a choice of 100’s of assorted colours and textures, imagination is your only limitation.